The Vegas Golden Knights have signed forward William Karlsson to a $5.25 million, one-year contract. 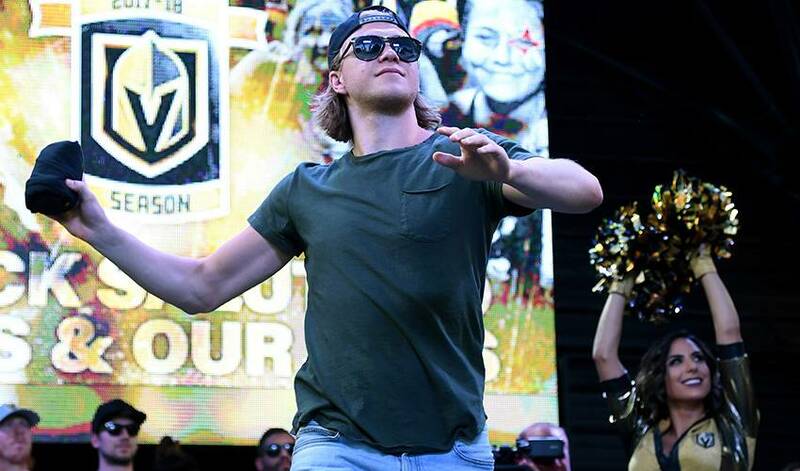 LAS VEGAS — The Vegas Golden Knights have signed forward William Karlsson to a $5.25 million, one-year contract. General manager George McPhee announced the deal Saturday as the two sides avoided arbitration. Karlsson gets a significant raise from his previous $1 million salary. Karlsson shattered career highs with 43 goals, 35 assists and 48 points last season. He won the Lady Byng Award for sportsmanship and gentlemanly conduct with a high standard of play. The 25-year-old Swedish native helped Vegas win the Pacific Division and reach the Stanley Cup Final. The Golden Knights selected Karlsson in the expansion draft in the summer of 2017 from the Columbus Blue Jackets after he had 25 points. In 265 NHL regular-season games, Karlsson has 61 goals and 67 assists for 128 points.